Ms. Kenyatta Price, from the College Board, spoke to students at Eisenhower High School MPR during the District’s College Night. Among the audience members, Mrs. Nancy O’Kelley, former Eisenhower High School administrator and RUSD Board Member attended the College Night for RUSD students and parents. 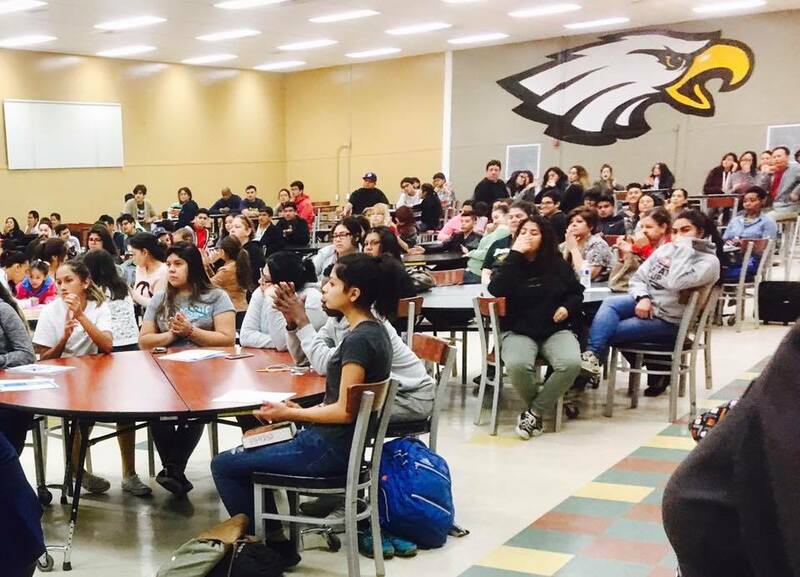 An engaged and interested audience member of students and parents listened to various speakers at the District’s “College Night” held at Eisenhower High School. This is exciting this year as Eisenhower ASB Director Crystal Pulido has been sending out text alerts to congratulate the students on the Eisenhower Campus that have been receiving various letters of acceptance to colleges all over the state and country. Also having Lamario Howard represent Eisenhower at Azuza Pacific University with a full ride football scholarship.